So you have a Problem with pests. Well you have come to the right place. Whether you are a Domestic customer or a Commercial customer we have a solution to your problem, all you need to do is ask. There is no place for pests in your home or business. Now it is time to send them packing with efficient pest control solutions from the most trusted name in New Zealand: Professional Pest Control. Unwanted pests can really be a nuisance and can cause health issues. Rodents can carry over 50 known diseases including leptospirosis and typhus which can be spread through droppings or urine. Ants and wasps can nest in your wall and ceiling spaces before moving indoors. We can put an end to pest invasion with our dedicated advanced pest management services for domestic and commercial customers. We provide these to home and business owners in Auckland, Hamilton, Tauranga and Rotorua. 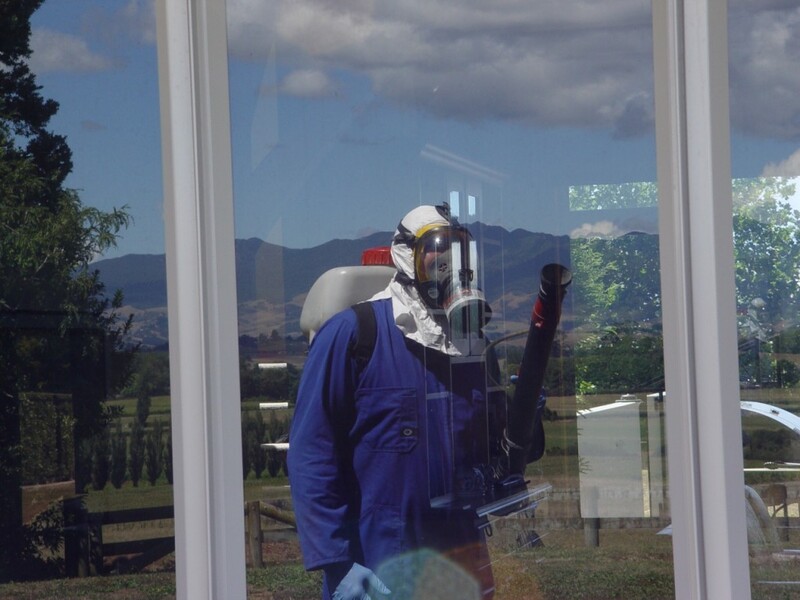 At Professional Pest Control we offer a range of pest management solutions for our domestic clients in Auckland, Waikato and the Bay of Plenty. We take the time to understand your needs and will work with you to ensure that your pest problems are a thing of the past. From rats and mice to cockroach control, spider and fly treatments and possum and rabbit control we have a cost-effective pest control service for your home. For our commercial customers in Auckland, Waikato and the Bay of Plenty we can perform a full range of pest management services. We offer dedicated service for commercial premises and food related businesses, including full documentation for food related premises and industries to provide an audit trail for external regulators such as food safety and council health inspectors. We look forward to working with you. Dedicated to customer satisfaction every time we ensure that all of our technicians are highly trained, security screened and licensed as approved handlers of pest control products used through government regulation under the HSNO Act. Our chemicals are effective and provide lasting solutions; however we always use them responsibly and with our customers in mind. Work with a pest control team that puts your safety and satisfaction first. Call Professional Pest Control today!